Morgan James Publishing, 9781683508656, 126pp. ONESHOT. ONELIFE. (R) helps people start achieving real and meaningful success in every area of their lives. Readers learn how to use five powerful principles that have been proven over and over again to help people succeed, specifically in the vital areas of Money, People, Faith, Work and Health. The Ultimate Success Formula will help establish clear priorities in these vital areas, find a proven plan to achieve each priority, and apply critical secrets needed to stay persistent in implementing plans to completion. Readers also discover "The Multipliers," two bonus principles that provide an edge and help multiply overall success. 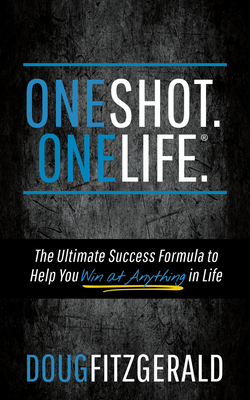 Whatever goals or dreams people have for their lives, ONESHOT. ONELIFE. (R) is the proven roadmap to help them stop worrying, start winning at anything in life, and achieve those dreams.